Quantum diffusion equations with time-dependent transport coefficients are derived from generalized non-Markovian Langevin equations. 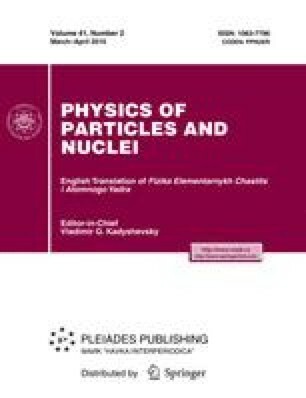 Generalized fluctuation-dissipation relations and analytical formulas for calculating friction and diffusion coefficients in nuclear processes are obtained. The asymptotics of the transport coefficients and of the correlation functions are investigated. The problem of correlation decay in quantum dissipative systems is studied. A comparative analysis of diffusion coefficients for the harmonic and inverted oscillators is performed. The role of quantum statistical effects during passage through a parabolic potential barrier is investigated. Sets of diffusion coefficient assuring the purity of states at any time instant are found in cases of non-Markovian dynamics. The influence of different sets of transport coefficients on the rate of decay from a metastable state is studied in the framework of the master equation for reduced density matrices describing open quantum systems. The approach developed is applied to investigation of fission processes and the processes of projectile-nuclei capture by target nuclei for bombarding energies in the vicinity of the Coulomb barrier. The influence of dissipation and fluctuation on these processes is taken into account in a self-consistent way. The evaporation residue cross sections for asymmetric fusion reactions are calculated from the derived capture probabilities averaged over all orientations of the deformed projectile and target nuclei. Original Russian Text © V.V. Sargsyan, Z. Kanokov, G.G. Adamian, N.V. Antonenko, 2010, published in Fizika Elementarnykh Chastits i Atomnogo Yadra, 2010, Vol. 41, No. 2.